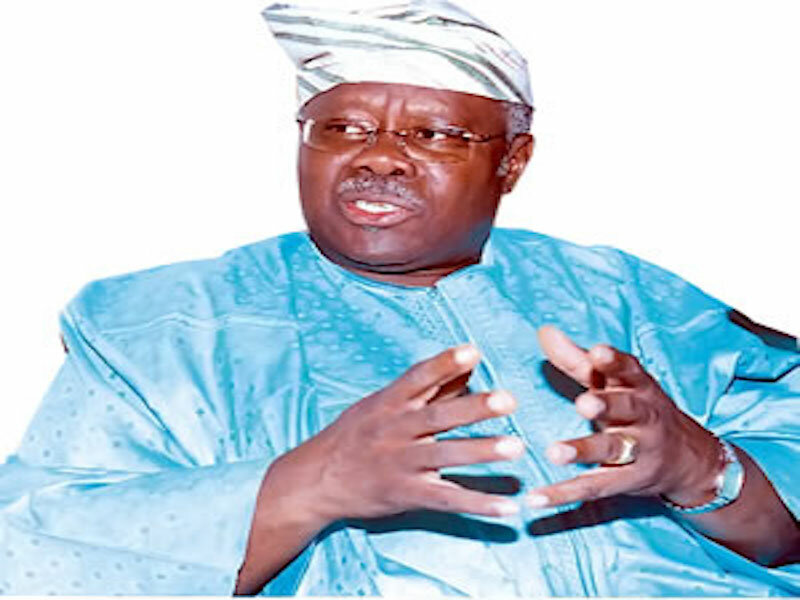 A leader of the Peoples Democratic Party (PDP), Chief Olabode George, has vowed never to leave the Peoples Democratic Party (PDP), saying that the party only needed to be strengthened for better performance in future. Speaking when the National Chairman of the Party, Prince Uche Secondus, paid him a condolence visit on Monday over the death of his son, Oladipupo, who died last Thursday in an Ikoyi Hospital in Lagos after a brief illness, George praised Secondus for rising above pettiness. The politician said that his son, who died at 42, was the crown prince of the family and that he would be greatly missed by everybody. According to him, “My son mixed with all and sundry. He listened to people at the rural level and he used to share his thoughts with me. “He became sick and we took him to the hospital. I later left for Abuja only for my wife to suddenly call me on the phone that his case was critical. “I rushed down to the hospital in Lagos and I watched my son going down. We were expecting him to be discharged from the hospital before he eventually gave up the ghost,” he said. Sympathising with George on behalf of the party, Secondus said the National Working Committee (NWC) of the party was pained by the sad loss, and that it was regrettable that such a young man could die at this time. “It is is painful that death took away your first son that could have been there to bury you at your departure. “However, we cannot question God because all power belongs to him. We pray that the invincible hands of God would touch your heart, which is impossible for any man. The party is with you in this situation and we will always be with you,” he said. The PDP chairman stressed that it was not an easy thing to lose one’s first son, adding that Nigeria and Lagos have lost a future leader. He then promised that the party would be well represented at the burial, which had been slated for Thursday. Secondus and other members of the party from Abuja were led to the House of Chief Bode George in Ikoyi by the Chairman of the PDP in Lagos, Hon. Moshood Salvador, and other members of the party in the state.